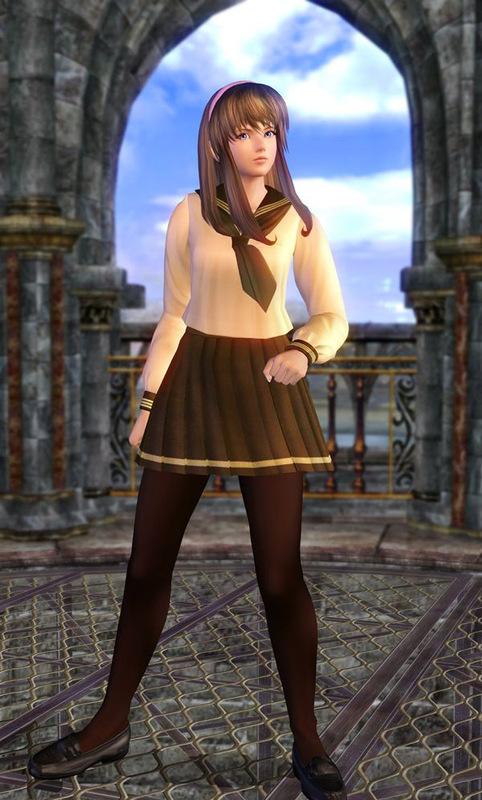 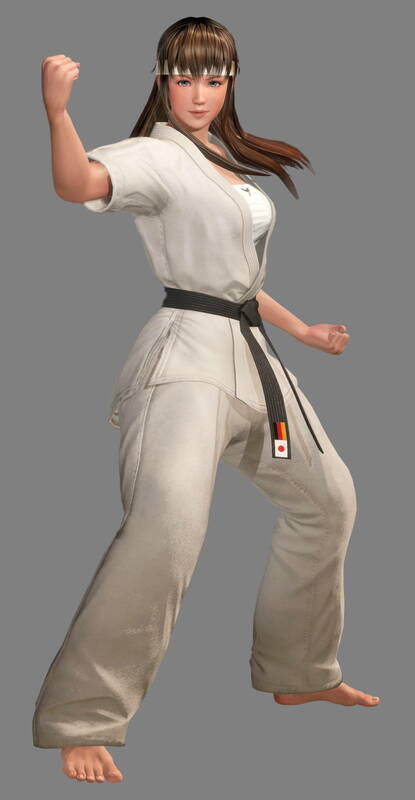 A schoolgirl and young competitor at 18, Hitomi is the daughter of a Japanese mother and a German karate master. 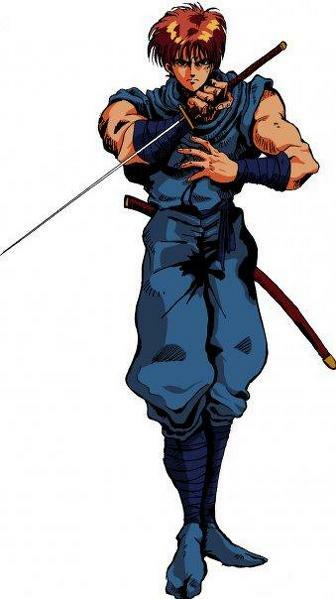 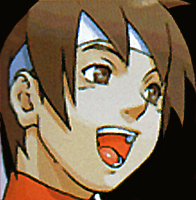 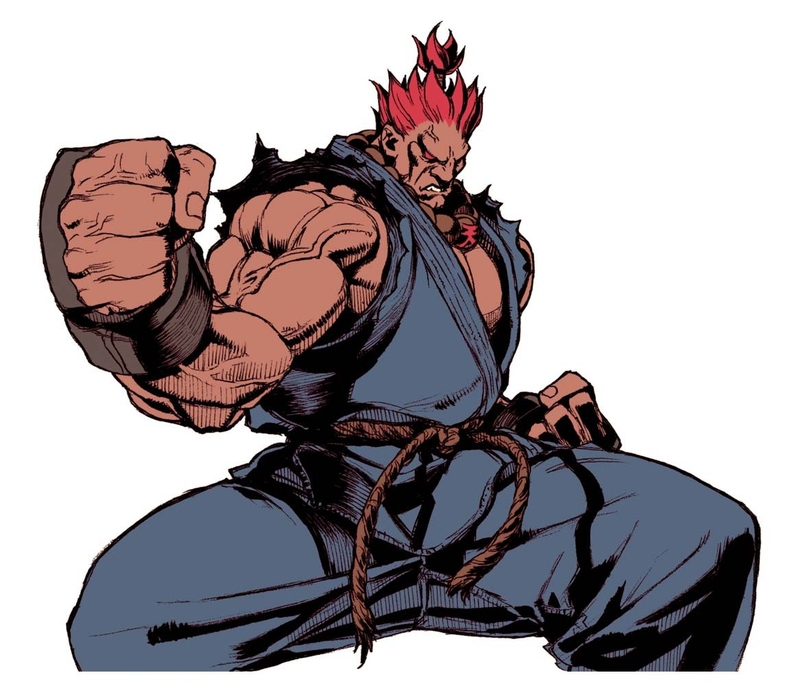 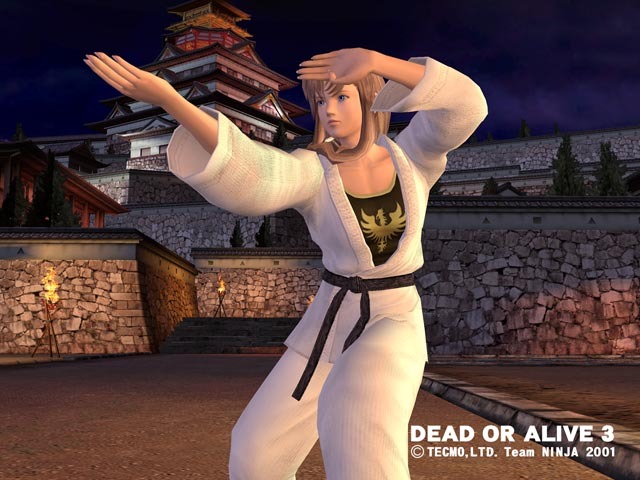 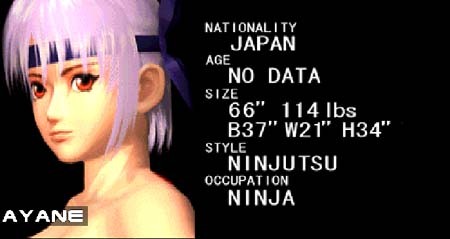 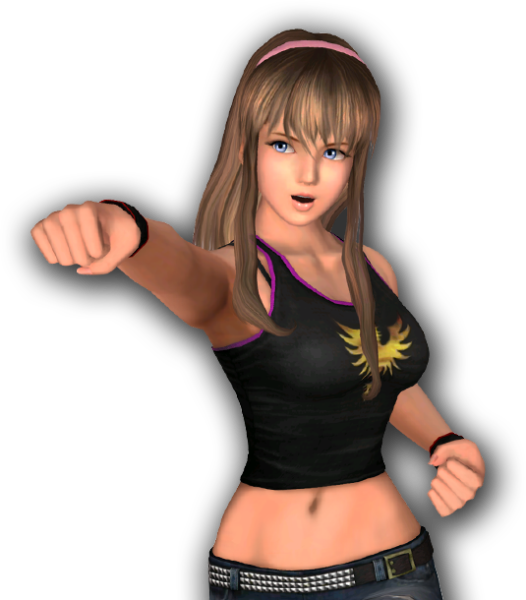 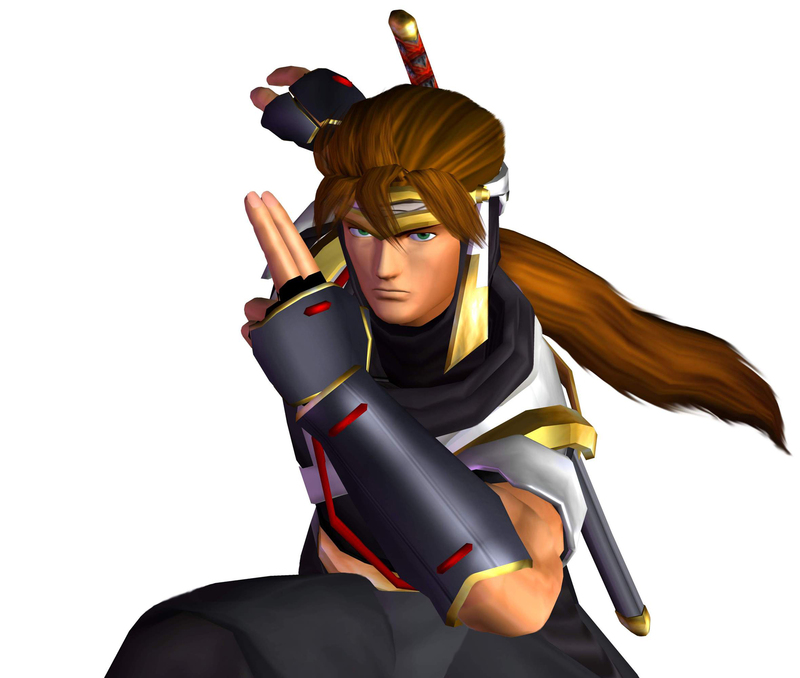 She has been practicing karate under her father's tutelage since she was just a child, and has always wanted to fight in DOA to test her formidable skills in the real world. 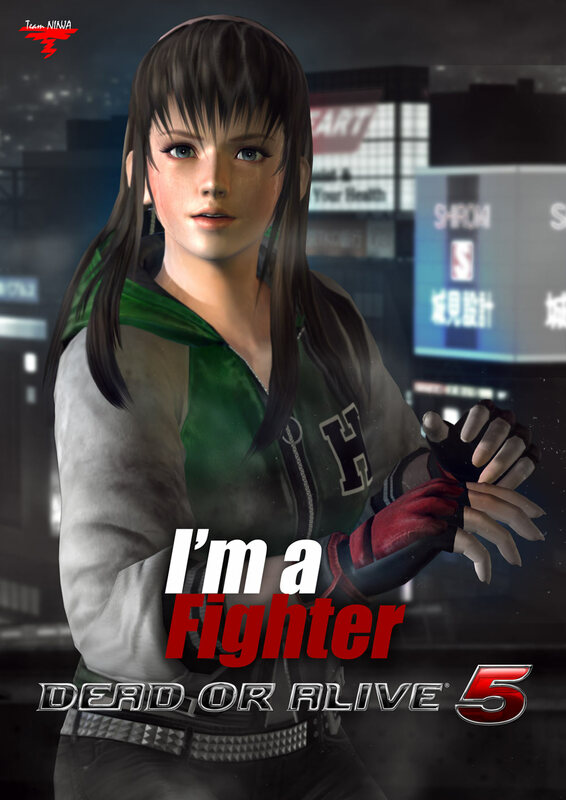 Hitomi's father has finally decided to allow her to participate in DOA. 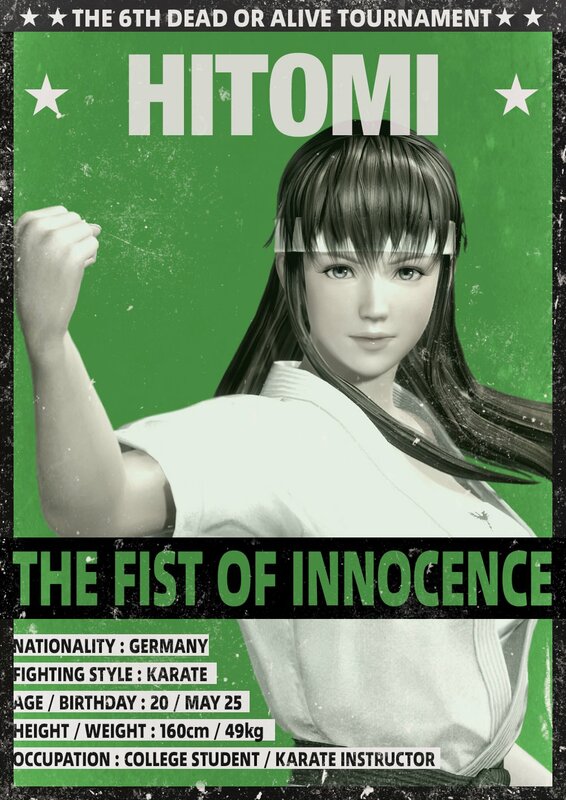 'There must be many powerful opponents in this world', Hitomi tells herself, and begins practicing her craft with a new degree of enthusiasm. 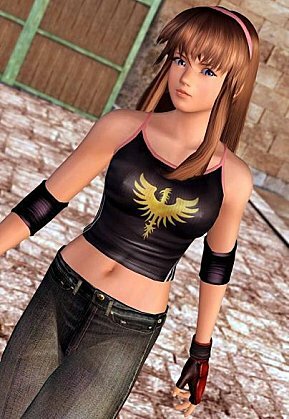 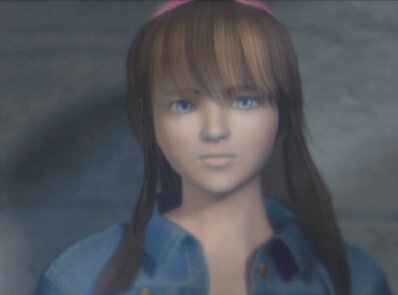 If I had to choose a favorite DOA girl... 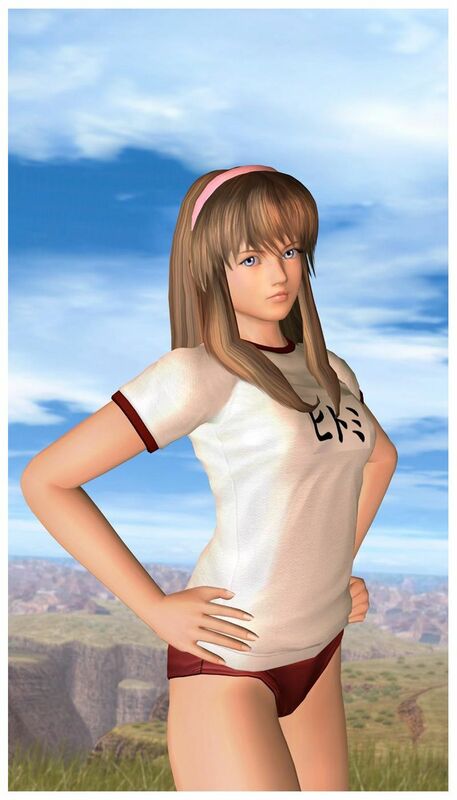 I'd probably choose Hitomi. 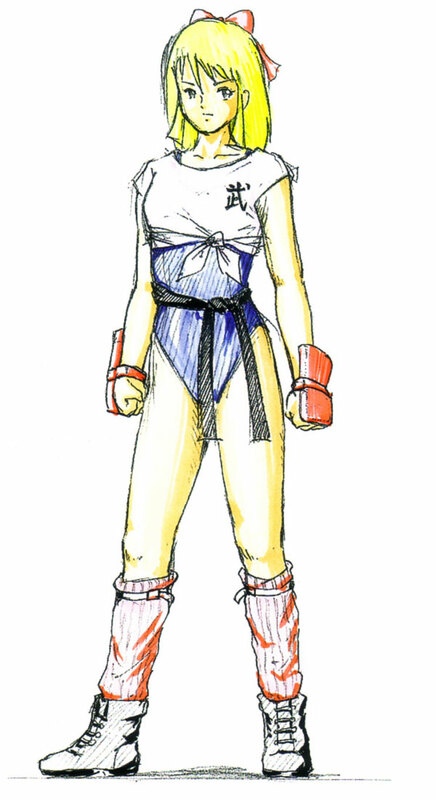 Her traditional and hard-hitting Karate-based fighting style is immediately likeable for any traditional striking-based martial artist. 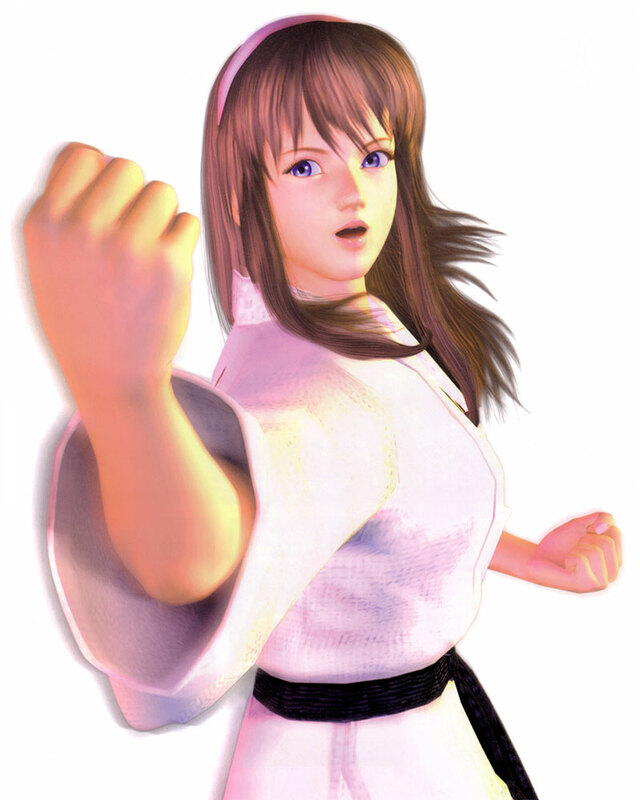 In general, Hitomi fights more "realistically" than other characters from DOA (particularly more so than all those constantly spinning, flipping ninjas). 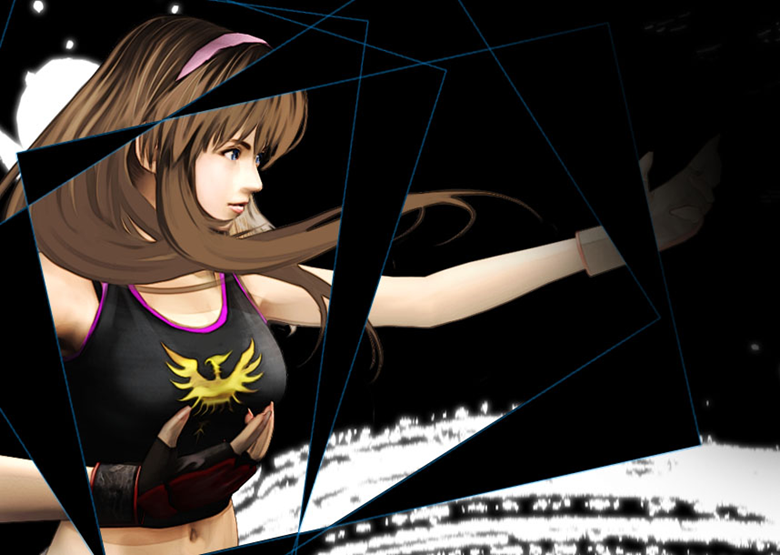 On that note, thanks for breaking up the monotony, Hitomi. 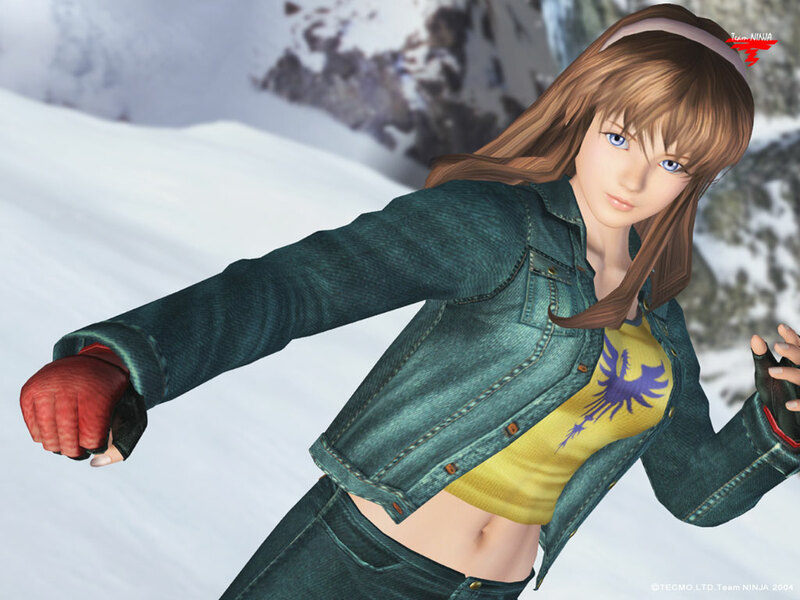 Hitomi also has some pretty cool alternate outfits... and it seems she wasn't designed to be "overly voluptuous" like some of the other, shameless DOA girls. 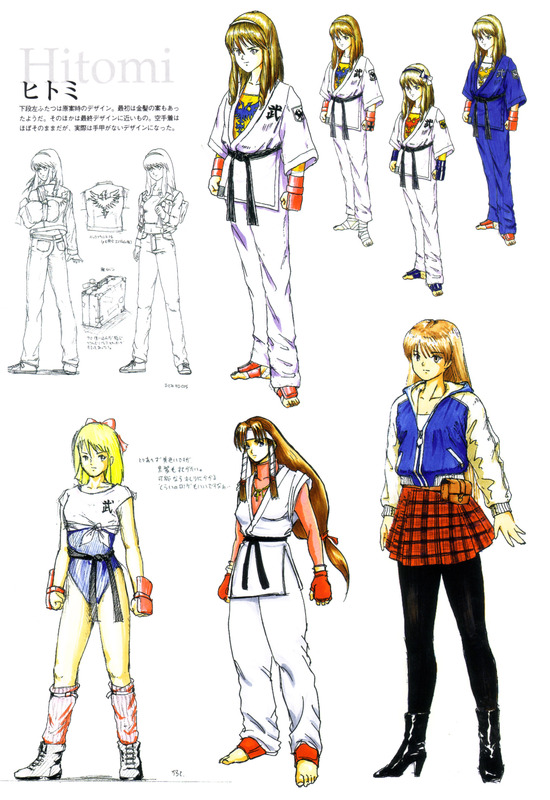 There's almost some actual substance behind Hitomi's design. 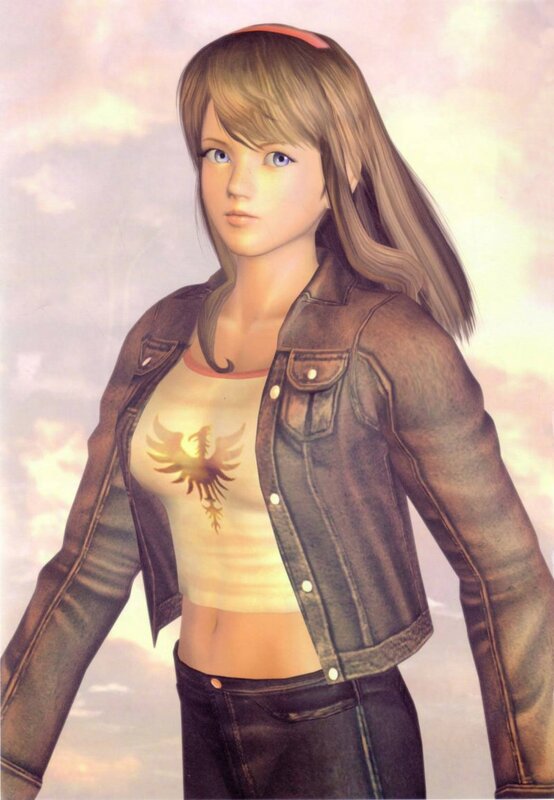 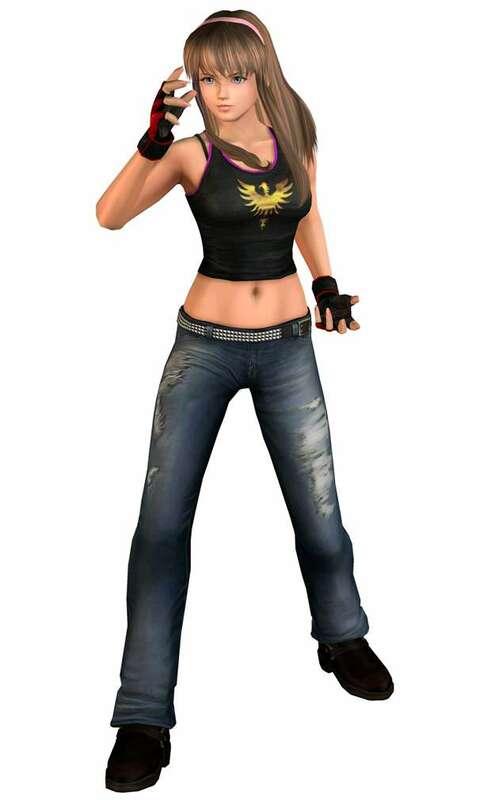 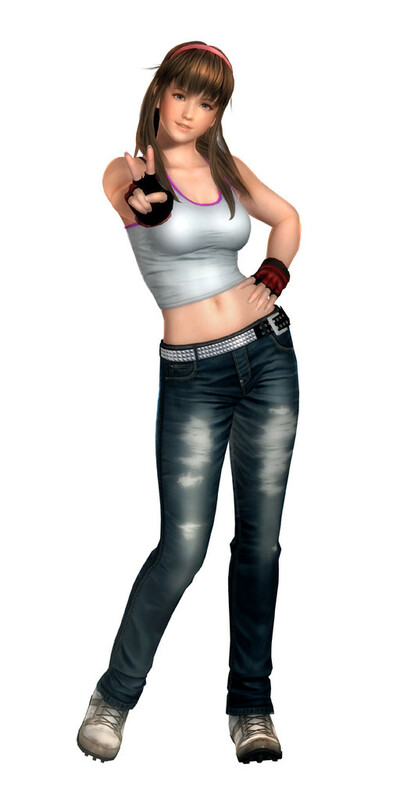 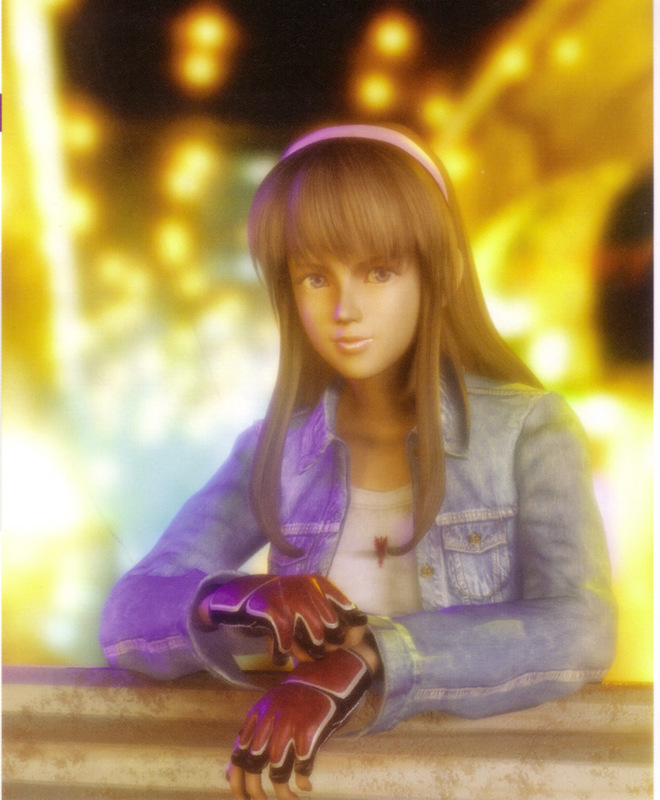 She shares some of the same quirks as other characters from DOA, but overall, she's one of the best from the series.